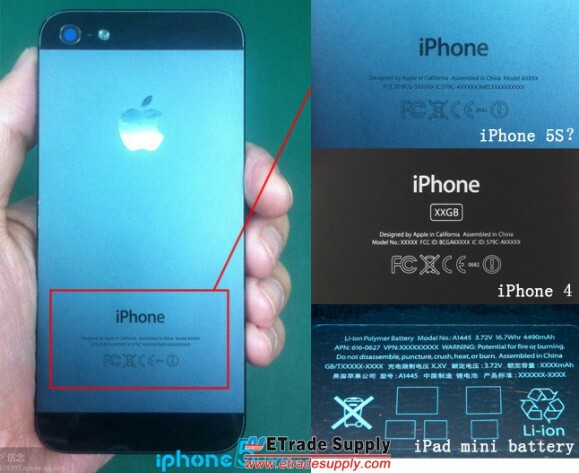 Online mobile phone parts firm, ETrade Supply (via MacRumors) has posted the first images of what they believe is the rear housing of the next generation iPhone, which is widely rumored to be called the iPhone 5S (following Apple’s pattern of device naming). 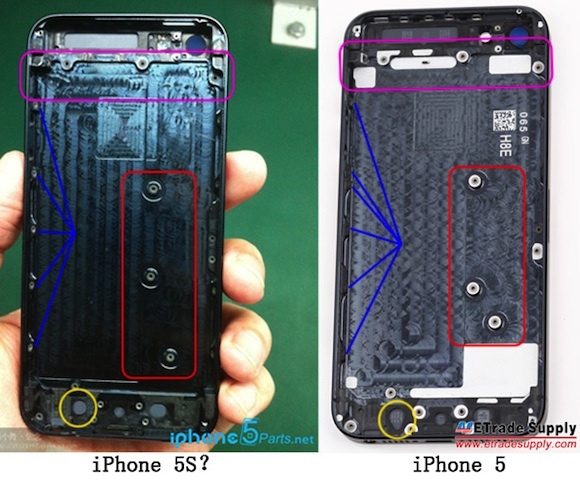 As you can see from the above image, the rear shell of the “iPhone 5S” is very similar to that of the iPhone 5, but there are, nonetheless some notable differences. One of the most obvious differences is the arrangement of the screw holes used to fasten the logic board. Other differences between the two parts are highlighted in purple, blue and yellow. While this image surely suggests this is a real iPhone 5″S” piece, we can’t confirm it: it’s possible it’s just an earlier prototype, or a cheap knockoff. However, the first leak of this type seems to reinforce Digitimes’ earlier claim that Apple has already entered trial production of the iPhone 5S.